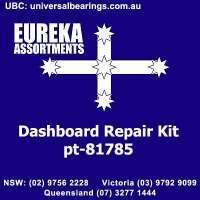 Dashboard repair kit pt-81785. 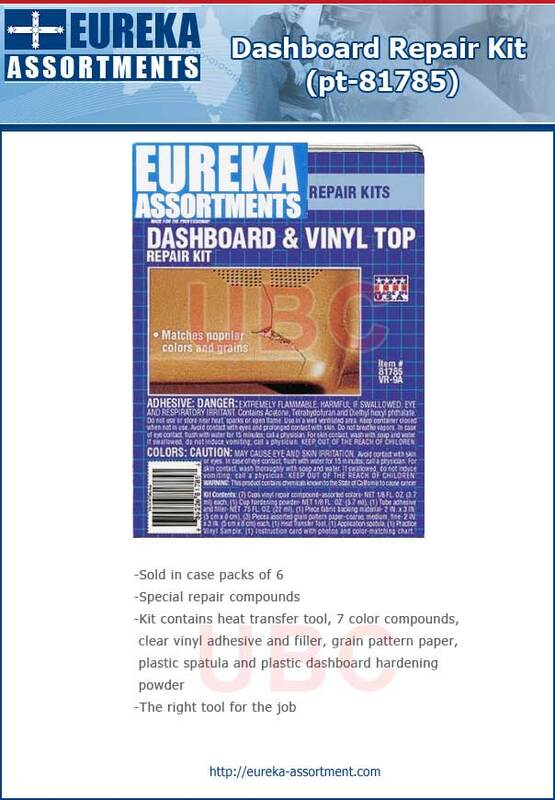 Dashboard and Vinyl Top Repair Kit consists of special repair compounds designed to repair dashboards and vinyl tops. 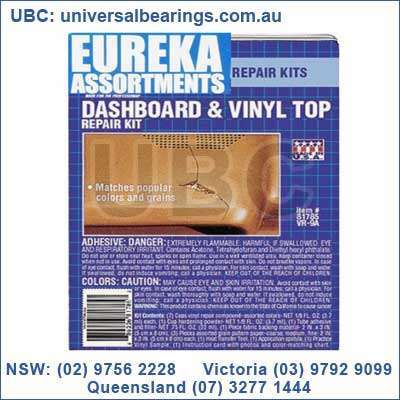 This kit contains heat transfer tool, 7 color compounds, clear vinyl adhesive and filler, grain pattern paper, plastic spatula and plastic dashboard hardening powder. 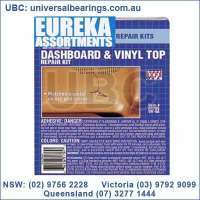 Make virtually invisible repairs to upholstery, seats, dashboards, etc. for auto, home, and marine applications with Eureka Assortments repair kits.